The DOTAS regime was originally designed to enable HMRC to keep up to date with what types of tax avoidance schemes are in circulation. By requesting the promoters make a disclosure, HMRC would be given the opportunity to review and, if necessary, amend legislation to block any scheme which the government considers aggressive and unfair. Changes to regulations, from February 2016, have significantly broadened the DOTAS rules, which could conceivably capture more standard tax planning strategies. Under DOTAS a scheme promoter is required to disclose the main elements of the scheme to HMRC. Special rules apply where disclosure is not made by a promoter, in those cases a scheme user must make disclosure. HMRC will then issue the scheme with a DOTAS number. A scheme user will have to notify HMRC that it is using the scheme by inserting the number in its tax return. 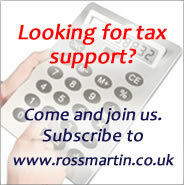 HMRC will monitor the scheme’s use and if necessary legislate to terminate it. Financial penalties are levied on those who fail to comply with the regime. If an obligation to disclose exists, notification must be made within 5 days of the arrangements first being made available. The European Council has adopted new rules requiring tax advisors, accountants, and lawyers that design or promote tax planning schemes which could be potentially aggressive to report them. The EC Directive will apply from 1 July 2020. The rules are built around a set of hallmarks which determine whether a scheme should be reported. The draft directive can be found here. Two new hallmarks were introduced from 23 February 2016: Employment income provided through third parties, and Financial Products. What taxes fall into the DOTAS regime? From 1 August 2006 it is necessary to consider whether an income tax, corporation tax, or capital gains tax scheme or product should be disclosed to HMRC under the DOTAS rules. From 1 August 2007 National Insurance schemes are disclosable. The rules are slightly different for SDLT schemes, and until 1 November 2012 disclosure was only required when the market value was £5 million (non-residential schemes) and £1 million (residential schemes). These de-minimus limits were removed in 2012. There are separate rules which apply to VAT, these have been operative since 1 August 2004. From April 2011 some settlements will require disclosure where chargeable lifetime IHT is avoided. The usual hallmarks will not apply but "grandfathering provisions" will try to ensure that certain transfers will not require repeat notification. The Apprenticeship Levy is subject to the DOTAS regime from 21 December 2017. A new IHT hallmark is in place from 1 April 2018. The DOTAS rules are long and complex: we indicate here some of the highlights, however, HMRC's latest guidance should be consulted. It is a tax arrangement that falls within any description ('hallmarks') prescribed in the relevant regulations. Disclosure is generally required to be made by the scheme 'promoter'. Is to any extent responsible for the design of a tax scheme. Approaches others with a view to making a scheme available to them. Makes a scheme available for implementation to others. Organises or manages the implementation of a scheme. The benign test: the advice he gives in relation to scheme is of a general compliance nature. The non-adviser test: the designer does not contribute any tax advice (this test does not apply to banks). The ignorance test: the designer could not reasonably be expected to have sufficient knowledge about the scheme to be able to appraise whether he has obligations under the DOTAS regime. The promoter is based outside the UK. The promoter is a lawyer and legal privilege applies. There is no promoter (where a scheme is designed in-house). A scheme introducer such as an IFA or professional firm, may also be asked to supply details of the scheme promoter as part of a pre-disclosure enquiry by HMRC. Upon disclosure, HMRC issue the promoter with an eight-digit scheme reference number for the disclosed scheme. 2016 regulations, with effect from 23 February 2016, introduced new hallmarks. In particular, it introduced a financial products hallmark, which could be very wide reaching. Any tax advantage obtained where a share, loan, or other prescribed financial product with unusual terms or abnormal steps is used, should at least consider whether this hallmark is met. Following consultation, The Inheritance Tax Avoidance Schemes (Prescribed Descriptions of Arrangements) Regulations 2017 were signed on 30 November 2017. The regulations came into force on 1 April 2018 and replace the previous regulations (SI 2011/170). The wording has been changed to ensure the new hallmark is appropriately targeted to catch IHT avoidance schemes but not the straightforward use of reliefs and exemptions or ordinary tax planning arrangements. There are new descriptions of disclosable arrangements which are designed to reduce the value of an estate on death or those which seek to avoid certain other IHT charges in addition to ‘entry charges’ on relevant property trusts. New guidance has been published here to explain how the new DOTAS hallmark works, the conditions to be met for arrangements to be notifiable, and the circumstances for certain arrangements to be excepted from disclosure. There are two sets of regulations setting out the hallmarks and information requirements on promoters for the new DOTAS regime for VAT and other indirect taxes, which came into force on 1 January 2018. The Indirect Taxes (Disclosure of Avoidance Schemes) Regulations, SI 2017/1215, prescribe the information promoters must disclose to HMRC under the new rules. The DOTAS regime can seem confusing to the end-user. The rules are complicated. Ironically, a scheme number can be a red herring: it does not signify HMRC approval. Yet it is often in a tax planner’s financial interest to obtain a DOTAS number as it looks impressive to some types of client (and so provides a good reason, if ever one was needed, for charging a higher fee). Conversely, legal opinion may also be divided as to whether a product is so well known and standardised that no disclosure is required. A mass marketed scheme may carry no number. There has so far only been one case taken regarding DOTAS notification. In HMRC v Root2 Tax Ltd  TC 06115, Root2 claimed that their scheme involving an employee entering into almost simultaneous spread bets and hedging transactions, ‘Alchemy,’ did not meet the criteria for disclosure under DOTAS. In sorting through Root2’s various arguments the first tier tribunal based their decision on their main claim which was that the tax advantage was not, or might not be expected to be, the main benefit or one of the main benefits of the arrangement, because the spread bet could go either way; the employee could achieve a profit or suffer a loss, with taxes being paid when there was a profit. Root2 were the ‘promoters’ of the scheme in the statutory sense. The effect of this is twofold; it enables HMRC not only to penalise Root2 for failing to notify the scheme under the DOTAS regulation, but also to issue Accelerated Payment Notices (APNs) on all taxpayers who took part in the scheme. It is quite possible that Root2 will look to appeal the decision. HMRC: Anti-avoidance pages: you can download the latest DOTAS guidance here. DOTAS: are you an introducer? ... and why does it matter? 08/06/18 European Council adopts new requirements to report aggressive tax planning schemes. 07/09/16 Guide reviewed and updated for new hallmarks and other changes.